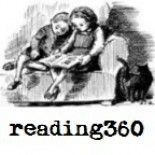 reading360 | reading matters, so let's make public library reader services awesome! reading matters, so let's make public library reader services awesome! BNE, restyled for Poetry Day (UK). I’ve been exploring issuu and digital publishing. I’m adding a few eZines in Writing; see my words here or on issuu. Reading Well’s #moodboosting booklist is available now for 2016 http://bit.ly/1Q056HG Get the books, promote the list, talk with people about mental health and the value of reading.